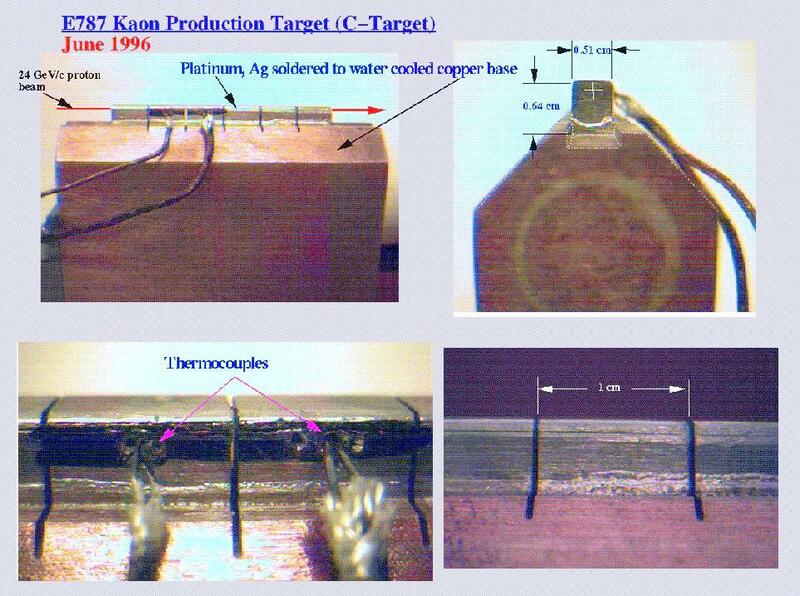 E949 is a rare kaon decay experiment in the C4 beamline (LESB III) at the AGS. We are seeking to measure the branching ratio of K+ → π+ ν ν. E949 is a successor experiment to the very successful E787 experiment. E787 was the first experiment to observe this very rare decay. The first event was collected during the 1995 run at the AGS. More information on E787 can be found at the web site, or in the following brief description. The second event was found in the 1998 data set of E787. E949 has substantially upgraded the photon veto system, the trigger, the data acquisition, and several other key detector systems, and plans to run with the full AGS beam intensity (x5 more than was available for the observation of the first event). 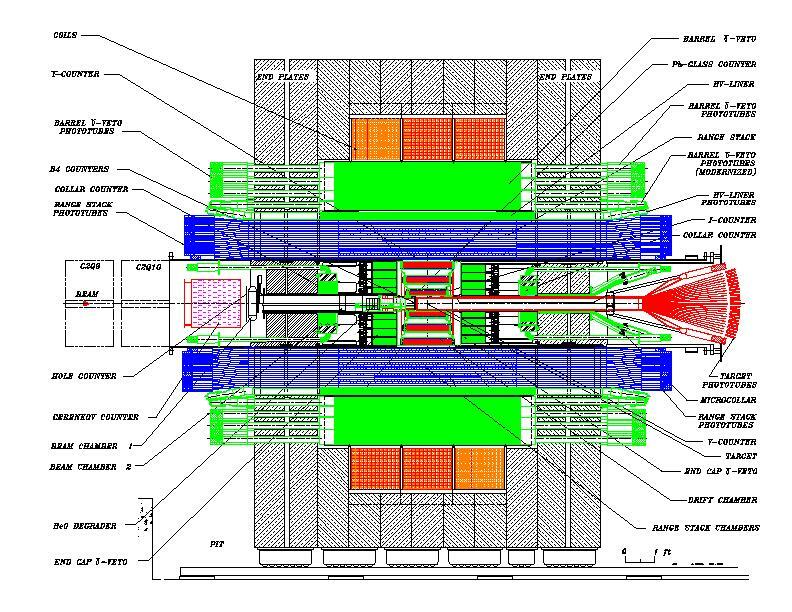 The U.S. Department of Energy's Division of High Energy Physics has approved E949 to run for 60 weeks, concurrent with RHIC operations, over three years (U.S. FY2001 - FY2003). E949 approved by BNL on October 13, 1998 and submitted the E949 proposal on April 14, 1999 to DOE-HENP for funding.